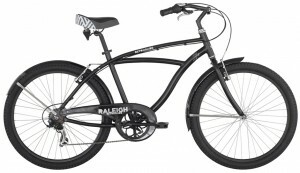 The Raleigh Retroglide 7 is a casual cruiser that’s sure to take you back to a simpler time. With its classically styled aluminum frame, rust-resistant wheels and one-speed drivetrain, the Raleigh Retroglide is built for casual, mellow riding. Keeping with the retro theme, you get a springer saddle, fat tires, fenders and a custom-stamped chainring that are all sure to transport you back to a simpler time. 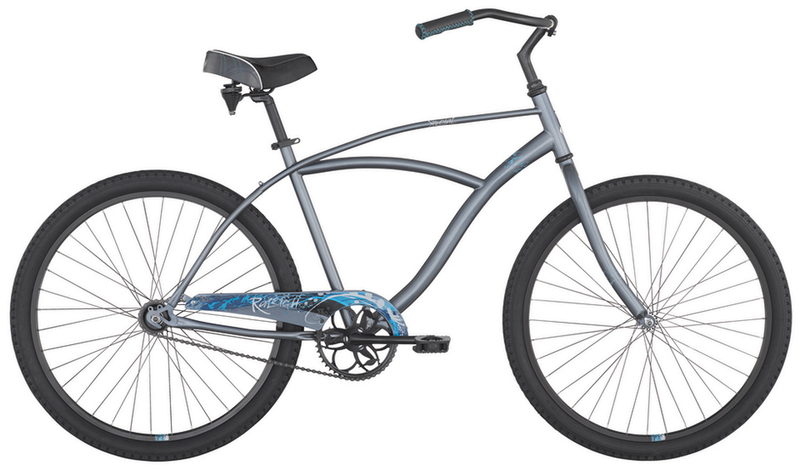 The Raleigh Retroglide is a casual cruiser that’s sure to take you back to a simpler time. With its classically styled aluminum frame, rust-resistant wheels and one-speed drivetrain, the Raleigh Retroglide is built for casual, mellow riding. Keeping with the retro theme, you get a springer saddle, fat tires, fenders and a custom-stamped chainring that are all sure to transport you back to a simpler time. Enjoy the simple pleasure of cycling on the Raleigh Special. This sweet-riding cruiser features one gear, one color, one coaster brake, and limitless fun. The reliable steel frame rides like a dream, while the aluminum rims wrapped with balloon tires spin nice and easy to add a touch of speed to your outings. Plus, the Raleigh springer seat and sweptback cruiser handlebars provide superb comfort for all your adventures.